Directed by J.A. Bayona (The Impossible, The Orphanage), A Monster Calls is a visually spectacular and stunningly emotional drama based on the award-winning novel. The screenplay adaptation is by the book’s author, Patrick Ness, who wrote the novel from an original idea by the late Siobhan Dowd. In June 2012, Patrick Ness’ novel A Monster Calls, inspired by an idea from Siobhan Dowd and illustrated by Jim Kay, became the first book to win both of the U.K.’s oldest and most prestigious children’s book awards, the CILIP Carnegie Medal and the Kate Greenaway Medal for illustrations. Mr. Ness became only the second author to win two consecutive Carnegie Medals. A Monster Calls also won The Children’s Book of the Year Award at the Galaxy National Book Awards; the Red House Children’s Book Award; Germany’s Jugendliteratur Prize; and the U.K. Literary Association’s Children’s Book Prize. His much-praised “Chaos Walking Trilogy” is being developed by Lionsgate as a feature film series. The first book in the trilogy, The Knife of Never Letting Go, won The Guardian’s Children’s Fiction Prize in 2008 as well as The Book Trust Teenage Prize. The second book, The Ask and the Answer, won the Costa Children’s Book Award in 2009; and the third book, Monsters of Men, brought Mr. Ness his first Carnegie Medal in 2011. His books have been translated into 37 languages. His novel for adults The Crane Wife was inspired by a Japanese folk tale and was selected for Oprah’s Book Club in the U.S., with Mr. Ness then being shortlisted for UK Author of the Year at the 2013 National Book Awards. 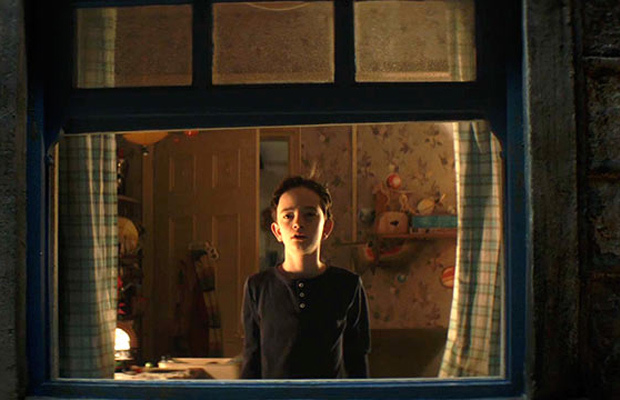 A Monster Calls began with the book A Monster Calls, first published in 2011. Sergio Sánchez, a voracious reader, and also the screenwriter of The Orphanage and The Impossible, was so entranced by the novel that he gave it to those award-winning films’ director, his friend J.A. Bayona. Upon reading the book, Bayona recognized at once “themes I’d touched on in The Orphanage and The Impossible: characters finding themselves in a very intense situation, with death on the horizon. Atienza muses, “Like all good books that deal with a big subject, in the end you find that it’s truly been speaking to you about a lot of different things. One of the key themes is how we process grief and the loss of loved ones. That’s what strikes you in a very direct way when you first read the book, but reading it again you can realize the author is exploring how fantasy is part of us as human beings – and the power it can give us to help deal with life. J.A. Bayona’s most recent feature film as director was The Impossible, starring Naomi Watts, Ewan McGregor, and Tom Holland; it was based on the powerful true story of a family’s survival of the tragic Indian Ocean tsunami in 2004. The Impossible grossed more than $180 million at the worldwide box office and brought Ms. Watts Golden Globe, Screen Actors Guild, and Academy Award nominations. Mr. Holland received honors including an Empire Award for Best Newcomer. The Impossible won five Goya Awards, which are Spain’s Oscars equivalent, including Best Director; and six Gaudí Awards, including Best Director. Prior to making A Monster Calls, Mr. Bayona directed the first two episodes of Showtime’s series Penny Dreadful, starring Eva Green, which instantly attracted a loyal following. Having completed A Monster Calls, he will next direct the new Jurassic World movie, for release in June 2018. Born in Barcelona, he grew up with a passion for film. This led him to become a journalist and later to study directing, at the Cinema and Audiovisual School of Catalonia (ESCAC). 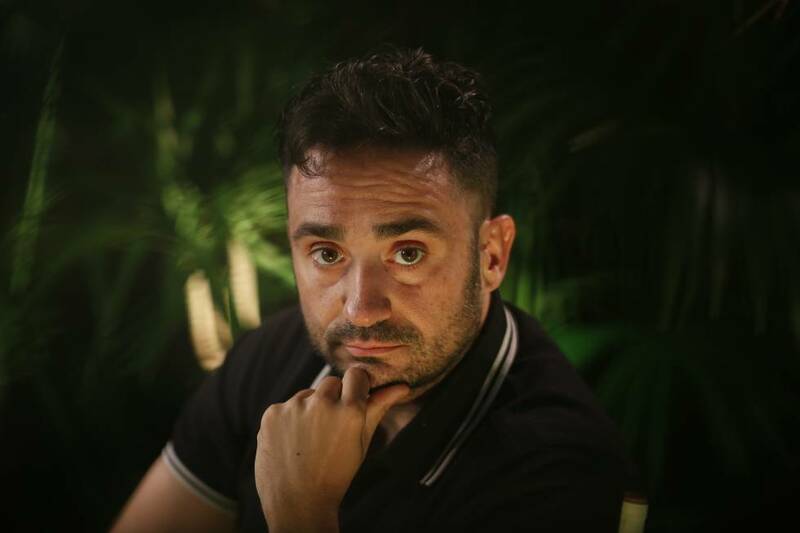 After directing two short films, My Holidays and The Sponge Man, Mr. Bayona met screenwriter Sergio G. Sánchez, who gifted him with the script for The Orphanage, which became his first feature as director. The Orphanage world-premiered at the 2007 Cannes International Film Festival to a 10-minute standing ovation. It was then released nationally in Spain, and its opening four-day box office was the highest of the year and at the time the second-highest ever for a Spanish film. The Orphanage was nominated for 14 Goya Awards, winning seven including Mr. Bayona’s for Best New Director. The producer and director sensed that the story could work as a film – without ever losing the emotional core. Atienza notes, “Bayona is someone who listens to his emotions. He found a lot of himself in this kid, how Conor accesses fantasy in this difficult point in his life. After finishing The Impossible, a film which went on to move audiences around the world, Bayona received the A Monster Calls screenplay from his agent. Spain’s Telecinco Cinema, which had backed Bayona’s earlier films, stepped forward to finance the development and the director knew it would be his next project. Atienza states, “With the unconditional support of these dear partners, we were able to prepare the movie properly.” Joined by Spain’s La Trini, and by the prestigious U.S.-based production companies Participant Media and River Road Entertainment, the story was finally headed for the big screen. The two took time to work out details of taking the book from page to screen. “We didn’t want to make a melodrama,” states Bayona. “Everything had to be integrated: Conor’s diverging relationships with his mother and his grandmother, and the fantastical element of the story. I realized that the 40-foot-high Monster would need to be depicted by integrating 2D and 3D animation. At every phase of pre-production, production, and post-production, Bayona sees Atienza as “my shadow. She is a constant support, not only in the organization of the shoot, but creatively as well. Belén is key to my process.